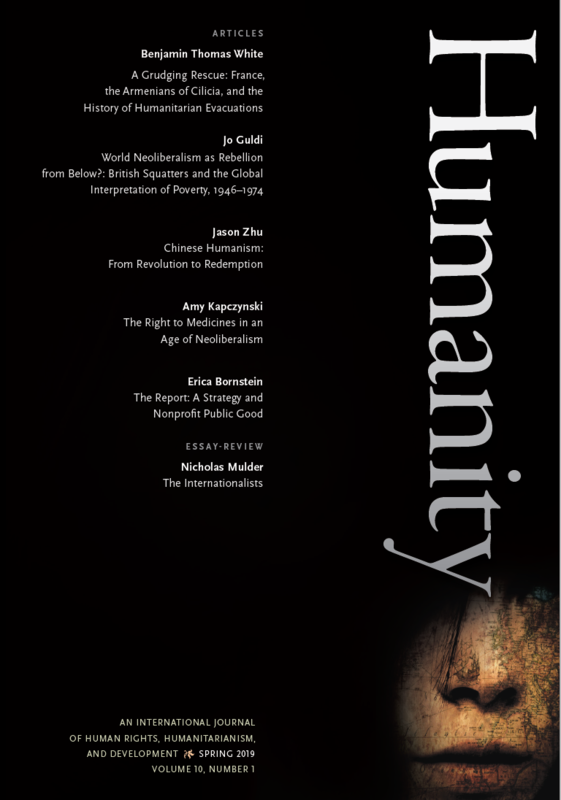 Kathryn Libal and Samuel Martínez of the University of Connecticut have edited a trailblazing dossier on gender and humanitarianism. After posing the issues in an introduction, Libal and Martínez present contributors addressing a range of relevant topics, from sugar boycotts that were part of antislavery movements in the nineteenth century to Madonna’s “humanitarian adoption” and contemporary art in the twenty-first century. The issue also includes a photo essay by Greg Constantine, commentary on Constantine’s photos, and a review essay on torture. 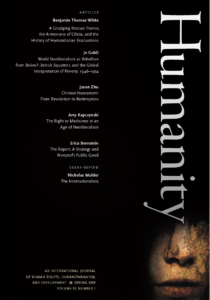 Emergent Human Rights Contexts: Greg Constantine's "Nowhere People"